Come to Midtown Global Market, visit The Art Shoppe, and save 10%. We have art from 90-100 artists including: Tom Cornish (fused glass); Megan Moore (painter); Mary Holland (marblized paper, leather, and tile); Bev Golberg (necklaces and earrings); Kathleen Crook (collage earrings and ceramics); and Becky Kroll (silk scarves handcrafted with an Asian influence). The Art Shoppe story — in brief. The Art Shoppe is artist-owned and managed, and it has been in its current Global Market space for 5-1/2 years. We have six owners and 90 to 100 consignors. Each of our artists is from Minnesota, and all of our art is made in Minnesota. The Art Shoppe’s mission is to provide a viable business place for Minnesota artists to display and sell their work, to gain business and marketing skills, and to mentor and empower one another to increase artists’ exposure and income. We promote opportunities for artists who represent a diverse community and have experienced poverty and/or unique life challenges. You won’t be surprised to learn that some Art Shoppe Artists are cat lovers or cat keepers, or servants of cats. Here is some of their work. Come to the Shoppe in Midtown Global Market to find many, many more fascinating cats. Susan Gainen (Pinky the First from the Clowder of Cats); Bonnie Somdahl (Needlefelting: 2 crazy cats); Christina Kieltyka (Thunder); Andrea Martin (Paper cutting). Tracie Thompson (Frick and Frack); Karen Caldwell, author (Things I learned from my cat); Michelle Lee Lagerros (kids’ clothing); Anda Moettus (cards). Tracie Thompson: I expect you to die, Mr. Bond. Tracie Thompson (I expect you to die, Mr. Bond); Tom Cornish (Fused Glass Cat Pin); Megan Moore (Philadelphia Window); Kip Shane (Isabella). Karen Caldwell (Cat Face); Kim Buell (Amber on Bill’s Arm); Peter Elvidge (Cat of Two Sights); Pamela Kirton (Bombay). Don’t forget: 1-1/2 hours of free parking with a merchants’ stamp. 10% off everything every Monday. AND 20% off all clothing: September 14-18. WOW. Every day new art comes to the Art Shoppe from its 90+ Minnesota artists. Row 1: Allie Hafez (OTIWA Jewelry); Andrea Martin (Paper Cutting and Painting). Row 2: Bonnie Somdahl (needlefelting); Carole Hallman (Delightfully Dyed adult and children’s clothing); Jim Price (painter of “In Lieu of Flowers). Row 4: Right Reverend Ryan Richards (bolos); Tom Cornish (fused glass jewelry); Nora Brody (wired and beaded jewelry). 1-1/2 hour free parking in the ramp with a merchant stamp. Stop by The Art Shoppe if your Mother might like jewelry (large and small, leather bracelets, marbled leather earrings, fused glass jewelry, watch-part jewelry, necklaces, beaded necklaces and bracelets, polymer clay earrings and necklaces, rings, bracelets and more), clothing, paintings or prints, needlefelted creatures, magnets, photographs, glass work (blown glass and fused glass),bookmarks, suncatchers, walking and talking sticks, wine stoppers, ceramics (plates, bowls, cups, masks), and lots, lots more. The Art Shoppe’s multi-talented fused glass artist Tom Cornish is part of The Skally Line. Along with Fred Keller, the duo brings a passion for old country music, blues, fiddle tunes, ballads, and gospel. 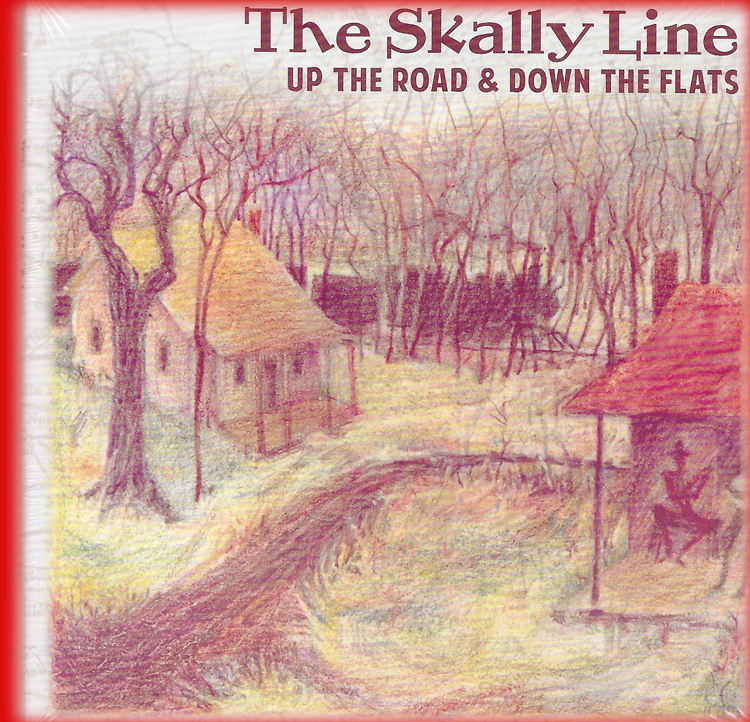 If you love fiddles and mandolins and spirited old time music, you will love their new cd, Up the Road and Down the Flats. The cd is available at the Art Shoppe ($15), Homestead Pickin’ Parlor, Electric Fetus, Blackbird Music, and wherever the band is playing. Tom and Fred will be featured tonight (February 1) at 7:30 p.m. on KFAI (90.3 in Minneapolis and 106.7 in Saint Paul). Don’t miss it! Karen Cauldwell If you stare at something long enough, it will move. Not wanting to point fingers (real or virtual) at the merchants (brick and mortar or on-line) who are sending out notices of hot, hyper, super, super-super, BLOW out! sales, we at the Art Shoppe are quietly offering 20% off everything except books until the Shoppe closes on Sunday at 6 p.m.
Come to the Midtown Global Market for food-unrelated-to-turkey and then visit The Art Shoppe to see the work of 90 local artists. Four Art Shoppe Artists will be featured at Walker Church Holiday Art Fair on Saturday November 21 (10-4) and Sunday November 22 (12-4).